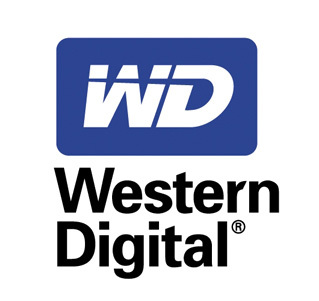 Western Digital Corp. (NASDAQ:WDC) was in 30 hedge funds’ portfolio at the end of the fourth quarter of 2012. WDC has experienced an increase in enthusiasm from smart money lately. There were 29 hedge funds in our database with WDC positions at the end of the previous quarter. In the 21st century investor’s toolkit, there are many indicators market participants can use to analyze publicly traded companies. A duo of the most useful are hedge fund and insider trading activity. At Insider Monkey, our studies have shown that, historically, those who follow the top picks of the elite hedge fund managers can outclass the S&P 500 by a solid margin (see just how much). Equally as integral, optimistic insider trading activity is a second way to break down the stock market universe. As the old adage goes: there are a variety of reasons for a bullish insider to get rid of shares of his or her company, but just one, very simple reason why they would initiate a purchase. Plenty of academic studies have demonstrated the impressive potential of this method if investors understand what to do (learn more here). Consequently, let’s take a gander at the latest action encompassing Western Digital Corp. (NASDAQ:WDC). At year’s end, a total of 30 of the hedge funds we track held long positions in this stock, a change of 3% from the third quarter. With the smart money’s positions undergoing their usual ebb and flow, there exists an “upper tier” of noteworthy hedge fund managers who were increasing their stakes considerably. According to our comprehensive database, Arrowstreet Capital, managed by Peter Rathjens, Bruce Clarke and John Campbell, holds the biggest position in Western Digital Corp. (NASDAQ:WDC). Arrowstreet Capital has a $283.1 million position in the stock, comprising 1.4% of its 13F portfolio. The second largest stake is held by AQR Capital Management, managed by Cliff Asness, which held a $107.3 million position; the fund has 0.5% of its 13F portfolio invested in the stock. Some other hedgies that are bullish include Curtis Macnguyen’s Ivory Capital (Investment Mgmt), Ken Griffin’s Citadel Investment Group and John Hurley’s Cavalry Asset Management. As one would reasonably expect, key hedge funds have jumped into Western Digital Corp. (NASDAQ:WDC) headfirst. Ivory Capital (Investment Mgmt), managed by Curtis Macnguyen, initiated the biggest position in Western Digital Corp. (NASDAQ:WDC). Ivory Capital (Investment Mgmt) had 103.7 million invested in the company at the end of the quarter. David Einhorn’s Greenlight Capital also initiated a $25.5 million position during the quarter. The other funds with brand new WDC positions are Ken Heebner’s Capital Growth Management, Michael Messner’s Seminole Capital (Investment Mgmt), and Neil Chriss’s Hutchin Hill Capital. How are insiders trading Western Digital Corp. (NASDAQ:WDC)? Insider buying is most useful when the company in question has experienced transactions within the past 180 days. Over the last six-month time period, Western Digital Corp. (NASDAQ:WDC) has seen zero unique insiders purchasing, and 9 insider sales (see the details of insider trades here). Let’s also review hedge fund and insider activity in other stocks similar to Western Digital Corp. (NASDAQ:WDC). These stocks are Brocade Communications Systems, Inc. (NASDAQ:BRCD), EMC Corporation (NYSE:EMC), SanDisk Corporation (NASDAQ:SNDK), Seagate Technology PLC (NASDAQ:STX), and NetApp Inc. (NASDAQ:NTAP). This group of stocks are the members of the data storage devices industry and their market caps resemble WDC’s market cap.